Not long ago, a research firm called UBM Techinsights reported that the Google Nexus 7 was made out of $184 worth of components. The folks at iSuppli, however, believe that this estimate exceeds what the tablet's manufacturing cost actually is. After taking a peek under its hood, they came up with a $151.75 bill of materials for the 8GB model, and $159.25 for the 16GB version. As a side note, these can currently be pre-ordered for $199 and $249 respectively. But why are the two estimates different? Well, it turns out that the previous report was made without actually having access to the device. In contrast, the Google Nexus 7 was taken apart by iSuppli, which allowed the guys to come up with a presumably more accurate production cost. Research and development costs, advertising, assembly, or any other related expenses are not included in latter's calculations. In unison with what UBM Techinsights reported, iSuppli estimates that Google is selling the 8GB Nexus 7 tablet at cost and is making a small profit on the 16GB model. The device is expected to generate more income as people purchase applications, movies, and other content from the Google Play store – a marketing model reminiscent to that of the Amazon Kindle Fire. But no matter how much the Google Nexus 7 costs to produce, it is still a great buy considering that for less than $200 you get a full-fledged Android tablet with a quad-core Tegra 3 processor inside. Or perhaps before getting one, it would be wiser to wait and see what Amazon has up its sleeve? Let us know what you think by dropping a comment! absolutely not. Do you have a tablet? Ask a tablet owner. That rear camera is almost never used. If it had an HDMI output it would have been perfect. I've owned a tablet for the last year and can back up what remix is saying which is that I don't give any flying f**ks at all whether there's a rear camera or not. last report was like $240ish. Apple loves HUUUGE margins. that gives me some hope that we may see more "nice" tablets at reasonable ranges. If they can produce a similar tablet with a bigger screen an HDMI with removable memory (or atleast more internal) for like $300, I might be game for it. 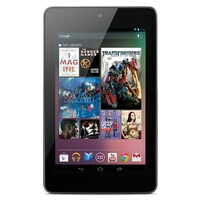 You might be looking at the Nexus 10 this fall then. if it has an HDMI out, then it will be very very high on my list. The $249 model seems to be the real bread-winner for google here. I agree with 3G. But remenber, Google don't want to make BEST device. The Nexus line is to show off the OS. The Nexus S < Galaxy S, and the Nexus Galaxy < Galaxy SII (Overall features). They let to the OEMs compete to see who can delivery the best device! So wait and see what ASUS will offer after have built the Nexus 7. I mean, they will put the best 7" tablet out there.